ADD International Tanzania is seeking to recruit highly qualified individual who is self-motivated and experienced to lead and manage the implementation of the Modelling Inclusive Pre-primary Education (MIPE) and Inclusive Education Program. 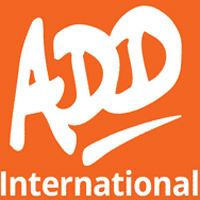 ADD International (Action on Disability and Development "ADD Tanzania") is a UK based disability rights organisation. We work for independence, equality and opportunity for disabled people living in poverty in Africa and Asia, by supporting disability activists to bring about social change. ADD International in Tanzania works in partnership with the Tanzania Federation of Disabled People's Organizations (SHIVYAWATA), national disabled people's organisations (DPOs), and with regional SHIVYAWATA branches in six regions, namely Mwanza, Shinyanga, Tabora, Coast, Lindi and Mtwara. This project aims to provide an opportunity for young children with disabilities to access inclusive and appropriate pre-primary education across four district councils of Kibaha TC. Kibaha DC. Mkuranga and Kisarawe in Pwani Region, Tanzania. The project will be implemented in collaboration with SHIVYAWATA. Programme Development and Delivery: Ensure project outcome delivered to quality required by the programme (with specified risks and benefits), to schedule, within set budgets and scope. Provide a key co-ordination and implementation role, ensuring project management standards are followed and deadlines met. Stakeholder Management and Communications' Build effective working relationships with project stakeholders, engaging them at each project stage, ensuring communications have appropriate content and tone. Manage information flows between the directing and delivering levels of the project. Ensure organisational communications about project benefits, progress and outcomes suit audience and are timely. Anticipate project risks and issues. communicating them to stakeholders, taking action to resolve. o Establish and maintain up to date key program stakeholders' contacts at Local and Central Government levels in the project area and the country at large. Project Team Management: Establish, lead and motivate the project team, set the performance objective indicators for each, ensure regular progress review meetings takes place and behavioural expectations established. Monitoring, Evaluation and Learning: Work very closely with MEL coordinator to develop baselines, mid and final project reviews. Lead the measurement and realisation of benefits delivered by the project. Facilitate project data collection as a way of generating an evidence-based and inclusive education delivery. Grant Management: Effectively manage donor grant allocated to project, ensuring that the grant is well managed and is in line with donor terms and conditions outlined in contracts. Resource Mobilisation: Ensure appropriate human resource in terms of skills, competencies, capabilities and capacity within your team are made available across ADD globally to facilitate the effective design, implementation and monitoring of the existing or new project. Commitment to equality and diversity, experience of working with disabled people and/or other marginalised groups is an essential requirement.